Investors can expect an end to the bull market of the American Stock Market as the Federal Reserve Bank of the United States (Central Bank) tapers the quantitative easing policy in place since the last economic and financial crisis in 2008. 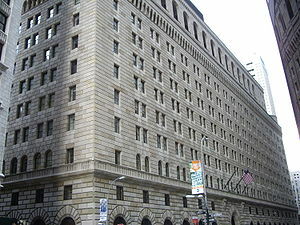 At the peak of the program the Federal Reserve ( the Fed ) was stimulating the economy with a monthly $85 billion USD (United States Dollar) purchase of American Treasury Notes and Mortgage Backed Securities. The winding down of the quantitative easing (QE) policy of the Fed began in December of 2013. The amount was scaled back monthly by $10 billion USD. 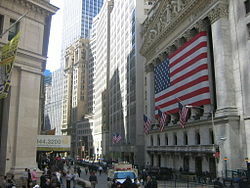 In response to the situation in the United States following the collapse of Lehman Brothers and the resulting financial and banking crisis, the Fed attempted to keep markets stable by adding new liquidity. Several rounds of QE in the United States have increased the balance sheet of the Fed by more than $3 trillion USD. The total assets in bonds and securities has gone from $1 trillion USD in 2007 to over $4 trillion USD in early 2014. The purchases by the Fed creates new money with electronic cash. It increases the size of bank reserves thus adding new liquidity to the financial system. The QE policy is supposed to stimulate the economy by encouraging banks to make new loans with the additional money provided by the Fed. As the banks finance the purchase of new assets to replace the ones purchased by the Fed it creates new economic activity. Since the policy allows new money into the system, QE lowers interest rates, which stimulates new investment and provides extra incentive to place more funds in the stock markets. The ultimate objective of QE is to lower unemployment and fight deflation by providing a monetary stimulus to the economy at large. It is supposed to boost the confidence of investors by making sure there is sufficient money in the system to keep the economy moving forward. There is no doubt that the stimulus provided by the Fed in extra liquidity allowed some extra economic activity. The question is at what cost? There is some concern that all this extra money has encouraged careless financial behavior by some and has the present global economy awash in American dollars. The major fear among investors especially those who have made investments in the stock markets, is that the economy will freeze up with the ending of QE. When the Fed and other central banks who have engaged in the policy of QE begin to sell the assets they have acquired, interest rates will begin to climb upwards. This will in turn begin to impact the economy by choking off new investment. Additional growth will soon be stifled. Another concern is all the additional liquidity will eventually create inflation that will be hard to tame unless interest rates are permitted to rise substantially. Any major rise in interest rates regardless of the reason for it will dampen new investment in the economy. A number of central banks have already recognized the dangers of continuing a policy of QE. It can easily lead to hyperinflation and a major devaluation of a currency. There are a number of analysts including this investment writer who have determined that the policy of QE as is being practiced in the United States is inflationary and addictive. 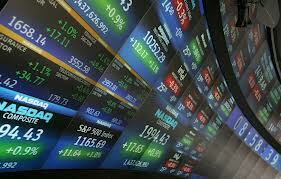 QE in the United States has led to a run up in the price of assets and the Stock Market. Since 2009 the policies of the Fed have permitted the market to continue an advance that is not really justified if one considers the true growth rates of the American economy. Although the investment class has done very well in this era of easy money this prosperity has not been shared by most Americans. In fact the median income in the United States is in decline( by several thousand dollars since 2009) and labor participation is now at it’s lowest point since 1978 (62.8%). The middle class of the United States is no longer the wealthiest in the world. Canada had advanced to a tie in 2010 and has now surged ahead. The gap with Western Europe is also narrowing especially in countries like the United Kingdom, Sweden and the Netherlands. There will be a number of analysts who will continue to ignore that the Stock Market in the United States and elsewhere is overheated. This situation has been caused by excessive liquidity in an world economy that is growing too slowly. There were many who refused to see this situation in the past as well. 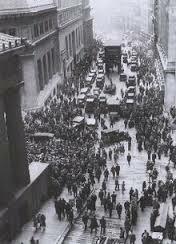 The 1929 Stock Market Crash which helped bring on the Great Depression of the 1930’s was missed by too many investors and bankers at the time. A huge amount of wealth disappeared in a matters of months. Many individuals and businesses faced bankruptcy within a short period of time. Other major market corrections were missed as well in the 20th century. Each time, huge amounts of paper wealth (money) would simply evaporate. More recently the 1990s dot com mania was followed by the recession and bear market of the years 2000 to 2003. Individuals investors, institutions and companies saw nearly $8 trillion USD simply disappear. Was anything learned from this experience? Apparently not. Another round of over investment in assets especially real estate in the years from 2004 to 2008 led to the Crash of 2008. 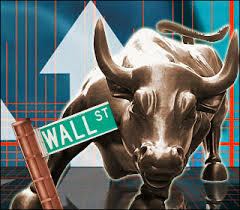 This time over $10 trillion USD in accumulated wealth was lost on Wall Street. It is important to note that at the end of 2013 if one factors in inflation the period from 2000 to 2013 known by some pundits as the Lost Decade finally broke even. This means that the $18 trillion USD in losses of that period have finally been made up in the Stock Market. By March 2014 the Fed had reduced QE by an additional $20 billion USD. Monthly purchases had now declined to $55 billion USD. It was the third reduction in a row. Monthly mortgage bond purchased dropped to $25 billion USD and Treasury Note purchases were reduced to $30 billion USD. Another $10 billion cut arrived in April bringing the total to $45 billion in monthly asset purchases. The Fed has stated that the objective is to cease all QE activity by the end of 2014. The Fed chairman Janet Yellen has been active trying to get other nations to reduce their own quantitative policies. In April, Yellen was insisting that the Bank of Japan begin a deceleration of QE this year as well. Can she also be worried about the health of the international monetary system? The Bank of England has also announced that the unwinding of QE in the UK might commence later this year. It is obvious that a number of central bankers see the danger in continuing QE into the indefinite future. 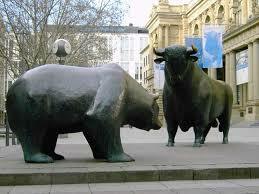 A number of bankers in Europe have already stated that QE cannot be the answer to economic recovery in the Euro-zone. Yet, as the economy continues to stall in this area of the world the temptation to use QE as a remedy will increase. The announcement of the revised numbers for Quarter 1 Gross Domestic Growth (GDP) in the United States did not indicate slow growth as has been the case in the past but an actual decline of 2.9%. Unemployment remains high for a recovery this far in a business cycle. At 6.3% it may seem low but the real unemployment is twice as high, if one includes underemployment and those individuals who have given up in finding employment in this job scarce economy. Another concern in the United States should be the kind of jobs that are being created in this present economy. More jobs are being created in the minimum wage service sector than in high technology and manufacturing clusters of the economy. Wages are typically much higher in these sectors. An important exception is the boom in higher paying jobs of the rapidly expanding shale gas and oil extraction industry, in numerous areas of the country. Ending QE will bring a rise in interest rates as excess liquidity exits the market. Inflation is already accelerating in the United States with much higher prices in the all important energy and food sectors. Real wages have remained stagnant so consumers will have little money to spend in an already contracting economy. Another quarter of negative growth will put the American economy back in an official recession. Unemployment will then necessarily begin to rise once again. Dismal economic forecasts like this in conjunction with the stated ending of QE will finally force investors in the Stock Market to face the reality that companies will find it increasingly difficult to make a profit in a slowing economy. This must mean lower prices for stocks in general. Despite all the dismal economic news since 2009 the one positive that the government of the United States has always pointed to was, the rising value of stocks on Wall Street. The question is for how much longer? It is no secret that the volume in trading within the US stock market has been declining. Individual investors have become increasingly apprehensive with economic reports that show slow or stagnate growth in many sectors of the economy. An overwhelming share of the trade in stocks in now being done by institutions, investment houses , investment banks, pensions plans, and other retirement vehicles. Since there are few, if any other investments in the economy that provide a decent return on money invested. 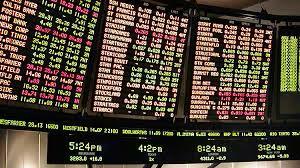 This exposes the financial and monetary system of the United States to an increasing reliance and liability on the health of the stock market. Many people have no realization that their retirement is now very much at risk. Again, more promises have been made then can be realistically paid for. The party is near over. The coming correction will put the Fed in an position of few options and very difficult decisions. The government is already $18 trillion USD in debt. The liability of just Social Security and Medicare is well beyond $100 trillion USD. There will not be another massive stimulus of the economy as was the case in 2009 with government spending. There is no way to acquire the money needed for such an action. The United States government is already essentially bankrupt. The question is not if, but when will the new crash in the stock market arrive? This investor is going to take an educated guess. 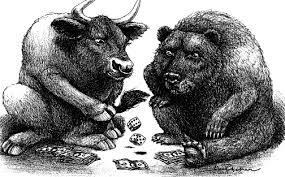 Most investors in the stock market today, still think that they will have enough time to make some more money before the next market correction. It is this thought process, that will allow this investment charade to continue into 2015. However, as the summer of 2015 arrives increasingly more investors will be pulling back on further stock purchases. This makes the prediction for the next crash to be in September of 2015.